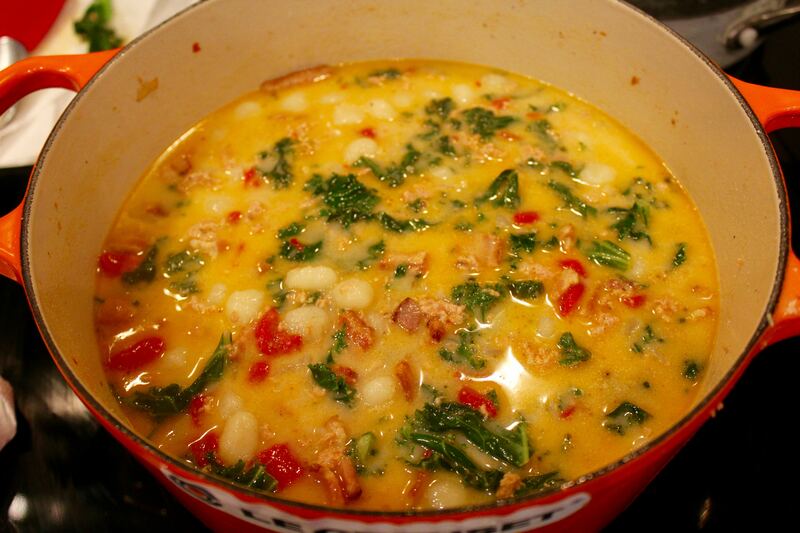 I think once you make this soup, you will understand why it is in my constant recipe rotation. It is so simple to make and the ingredients are really easy to keep on hand. I pretty much always have two jars of roasted red peppers and two containers of mini gnocchi in my pantry, just so I can always make this soup when the mood strikes. This is a little heavier on the calories if you are watching what you eat, its about 300 calories for each 1 cup portion and I usually portion it out in 1.5 cup containers. But it is worth every minute that you spent on the treadmill. It is spicy, creamy, and comforting. And it keeps extremely well in the fridge. I honestly could not attest to its stability in the freezer because this soup gets eaten up within a few days, between my husband and I.
I have been so inspired by an Italian restaurant in Raleigh called Gravy. If you live in the area, you must go. Perfect Italian food, everything I ate there was insanely good. I was inspired by the gnocchi and kale combination I had there. I wanted to make soup and I wanted it to be kind of healthy so I went with hot Italian chicken sausage from Whole foods. It is really, really good! I have also made this with regular hot Italian sausage and of course it is excellent. If you can find mini gnocchi, they are kind of perfect for soup, and super cute. If you are being very healthy, you could also substitute the gnocchi for great northern beans. Homemade chicken stock really punches the flavors in this soup a punch, but I have used store-bought stock many times. The milk you use in this soup is really up to you, you can use all half and half or all 2%. I like it to be a little creamier, so I use the combo. Low fat half and half or heavy cream are also alternatives if that is all that is in the fridge. In a dutch oven or stock pot, cook bacon over medium heat. Cook until the fat is rendered and bacon is slightly brown, ~7 minutes. 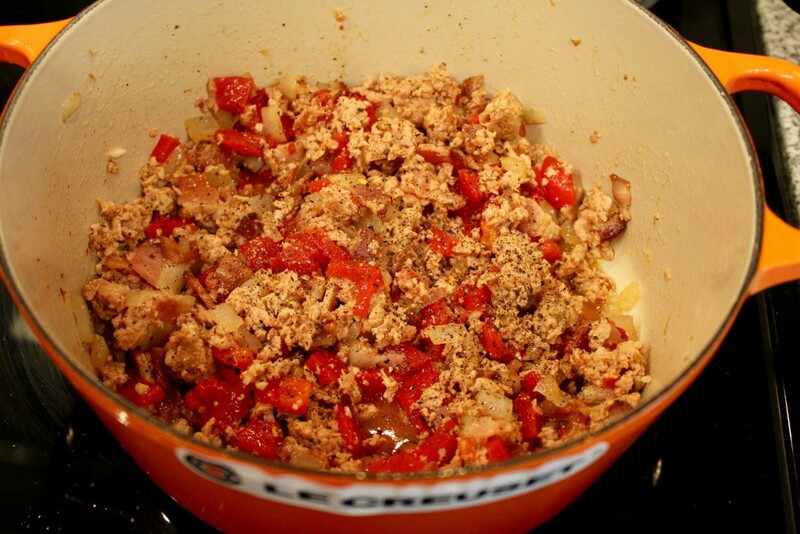 Add the hot italian turkey sausage and the onion. Saute until cooked through, ~10 minutes. Drain as much of the fat as you can (or leave it if you don’t care). Add the garlic cloves and saute for 1 minute. Stir in the diced roasted red peppers and the chicken stock. Bring this to a simmer, reduce heat to maintain. Add the kale and the gnocchi, stir once with wooden spoon to combine. Cook for 5 minutes, until the gnocchi are tender. Mix in the half and half.